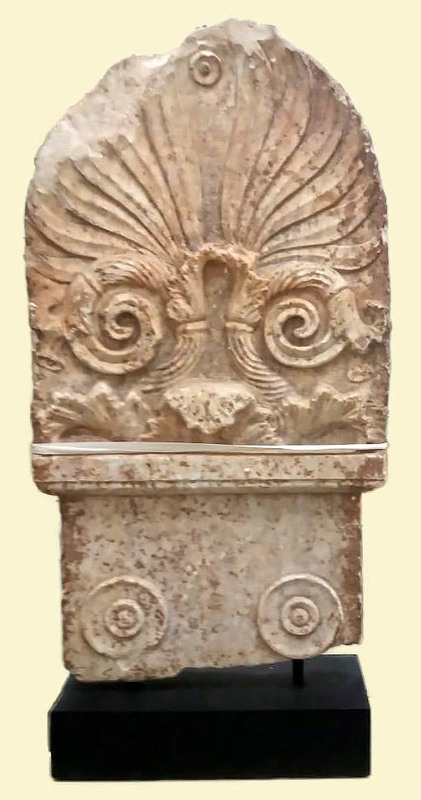 The marble Attic stele that dates from Classical times and was repatriated from London (photo: Ministry of Culture and Sports). 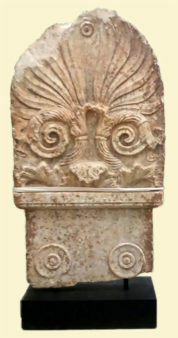 The artefact is a typical example of a marble Attic stele of the Classical era with a palmette capital. There are two rosettes in relief on its front and the beginning of a name can be distinguished under them, possibly that of the deceased: ΕΣΤΙ[ΑΙΟΣ]. The stele dates from round 340 BC and definitely comes from some ancient cemetery of Attica since the specific type was exclusively that of Attic sculpture workshops. The Greek Embassy in London played a substantial part by helping from the outset in every convenient way so as to complete the necessary procedures for the return of the stele. After repatriation the stele was handed over to the Epigraphical Museum.